As I've stated before on my blog, with a one year old to run after all day, it is extremely hard to find time to sit and needle felt or lay out a piece for wet felting; therefore, I've begun to crochet. It is something that I can pick up and lay down easily and doesn't involve any sharp objects like the barb-edged needles for felting. I miss felting daily terribly, but I've managed to express my creativity through crochet and am learning to read patterns now. Last week I decided to try my hand at some animaguri crochet and produced a wee little dog for my baby girl to play with. I also made a bright pink rabbit, but unfortunately, I didn't have time to snap a photo of it. Up until these two 3D projects, I was only making wash cloths and pot holders with my beginner crochet skills. I read through several free patterns online and watched some YouTube crochet videos before improvising a pattern for the little dog. I think that there will be more crochet critters in my future. I do enjoy making them, and they aren't as difficult to crochet as they appeared to me at first. It is basically all variations of single crochet stitches. Anyway, that's what I've been up to creatively lately... at least what little time that I've had to be creative. I'm also building a website for a fellow, local artisan. And, I have a wet felted wall hanging in the works if I can ever find time to put the finishing touches on it. This is really cute! 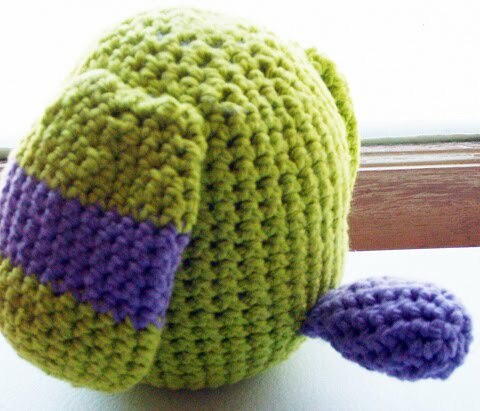 I am going to learn amigurumi as well, and I am in the process of teaching myself how to crochet. Amigurumis are so cute and I NEED to make them! This turned out wonderfully! He's absolutely adorable! How cute. I'm sure your wee one loves them. Have you started classes yet? I'm sure you're plate is REALLY full! I just wanted to know that I'm out here rooting for you!!! Thanks everyone for the kind words about my little puppy! My baby girl seem to approve since she likes to carry him around the house with her. 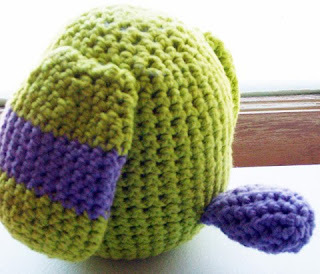 where did you find the pattern for this little guy? 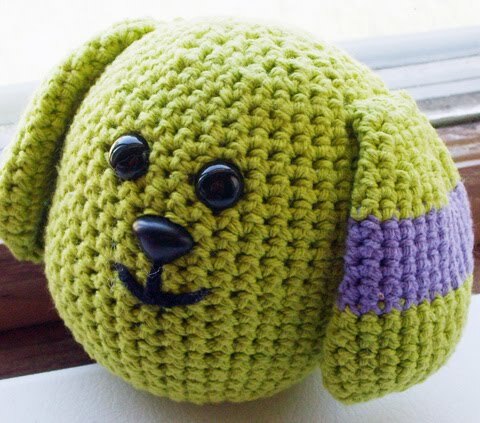 my son wants a doggie lovey and i am looking for a cute head and this would be perfect! !